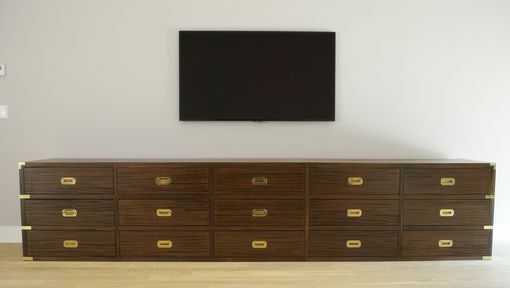 This 13 foot long campaign style sapele bureau has 15 drawers and brass hardware. Open grain satin sheen finish. 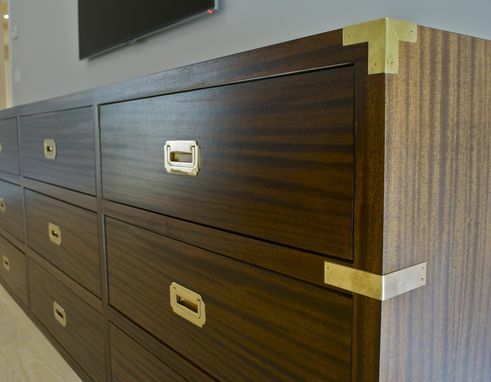 This bureau can be customized to suit your needs.